Introducing the Rosewill BK-500 Bluetooth keyboard for iOS, Android, and Windows: A gorgeous, wireless keyboard that’s ready to go right out of the box. 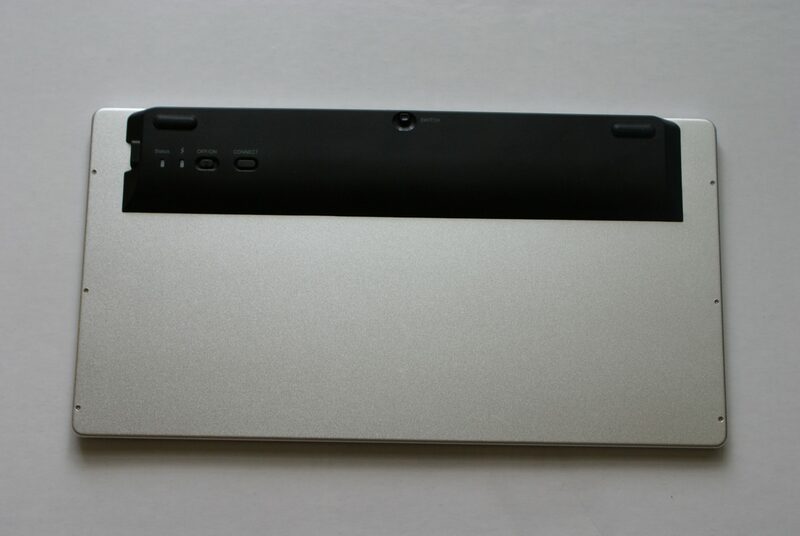 If you have been looking for a bluetooth keyboard to use for your tablet or phone at a reasonable price, than don’t look any further. At $59.99, Rosewill’s BK-500 not only looks like a quality keyboard but it feels like one as well. With a slim lightweight design and an durable aluminum back, you will not be shy about bringing this keyboard wherever you go. Connecting to your devices has never been easier with bluetooth 3.0. Right out of the box it will take you no more than 10 to 20 seconds to pair this keyboard to your devices by simply pressing the connect button on the bottom of the keyboard. 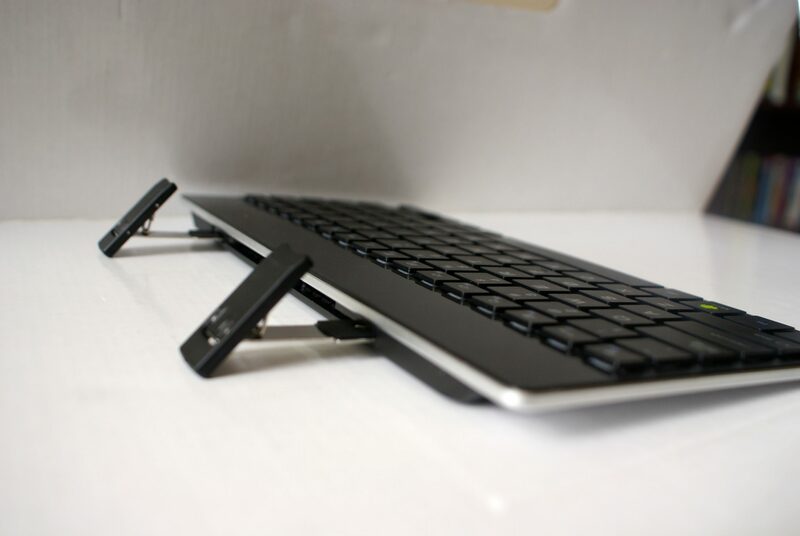 The BK-500 also comes with a built in pop-up stand that holds your tablet/phone upright as you type, and allows you to fold the stands back into the keyboard for easy storage. Which is one of my favorite features about this device. With an Li-ion rechargeable battery, the Bk-500 can last you from two weeks to a month (depending on using) off of one charge. Rosewill’s BK-500 feels very comfortable on your hands as well. After typing on it for over an hour, there wasn’t a moment that I felt as though my hands could use a break. The look and feel of this keyboard isn’t the only thing to it, the integrated hot keys for android and iOS devices make it easy to navigate through your tablet/phone with the push of a button. After using this keyboard for two weeks, I have become more and more comfortable with using the hot keys whenever I get the opportunity. While the BK-500 offers a lot great features you would want to find in you’re bluetooth keyboard, it could benefit from some simple design modifications. 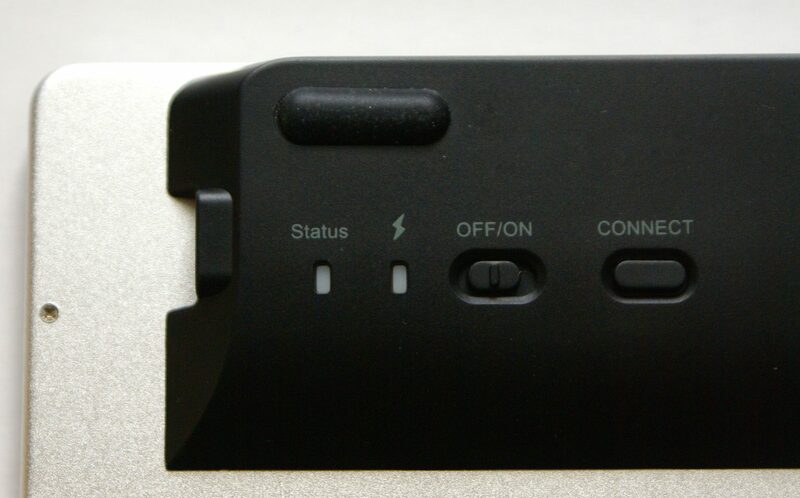 The indicator lights for pairing/battery life as well as the buttons for pairing and powering the keyboard on are placed on the bottom of the the keyboard instead of taking advantage of the space above the keys. If these indicator lights were moved to the top of the keyboard it would prevent you from having to check under the keyboard to see if it has battery life. If you do a lot of computing in low light settings, than the keys may be hard for you to see. So making the text on the keys stand out more can help with the visibility in low light situations. While this modification might seem to be a minor one, I still feel that it could improve the overall quality of the product. 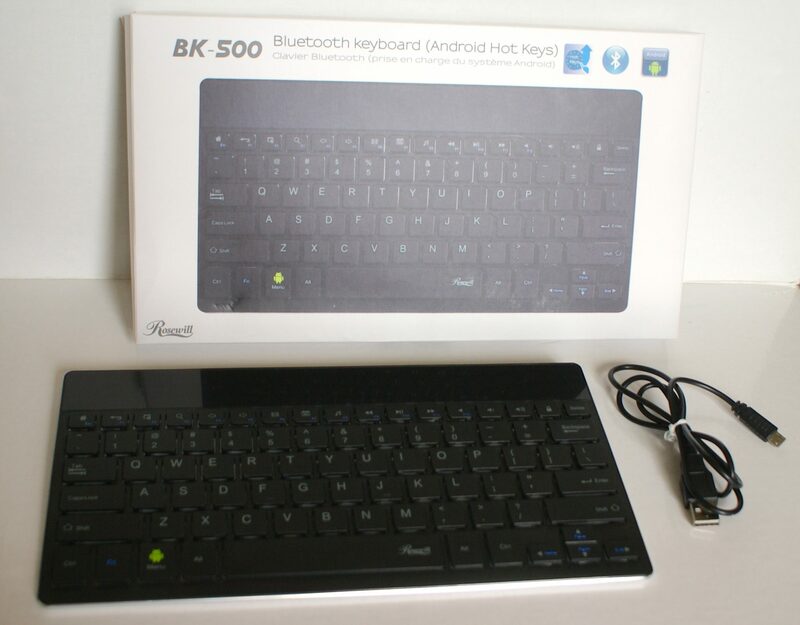 After spending some time using this product, I can say that the BK-500 is one of the better bluetooth keyboards I’ve used. The compact and portable design makes it perfect for traveling and every day use. For me, durability is a big factor, and the BK-500’s aluminum back feels very durable. So I can only assume that this keyboard will last you a long time. Having spent a lot of time with this product, the pros outweigh the cons by a long shot. The BK-500 has been very easy to use with all my devices and I haven’t had any issues thus far. With a fresh design and loads of great features, Rosewill BK-500 is all you can ask for in a bluetooth keyboard.